Wrotnowski’s insights are the product of a much-anticipated musical and cultural tour. 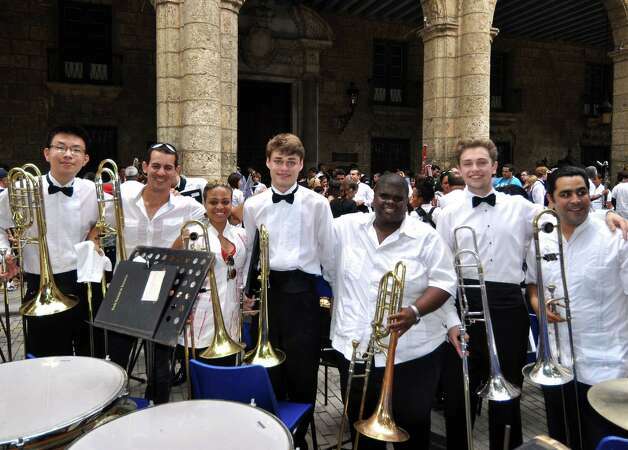 The band’s seven-day trip in April realized a major goal of Greenwich High band director John Yoon, who was inspired by the 2010 visit to Cuba by trumpeter Wynton Marsalis and his orchestra. After flying into Havana on April 10 on a charter plane from Miami, the approximately 120 students and 20 faculty and parents got settled at the Occidental Miramar hotel, where the group stayed for the week. They adapted quickly. 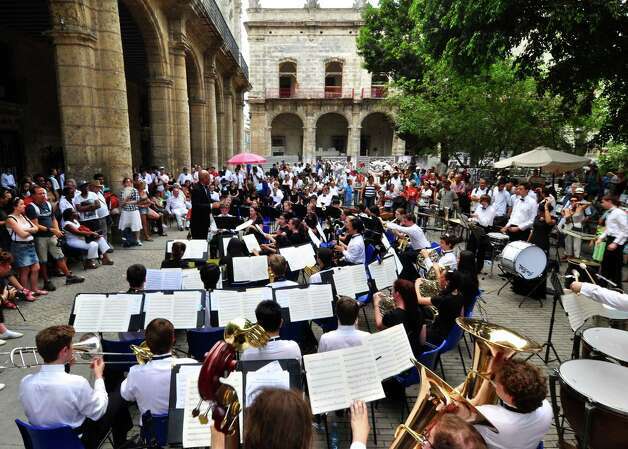 The following day, students in the wind ensemble and symphony band played with the National Band of Cuba in the Plaza de la Catedral. The Greenwich contingent did not stop there. 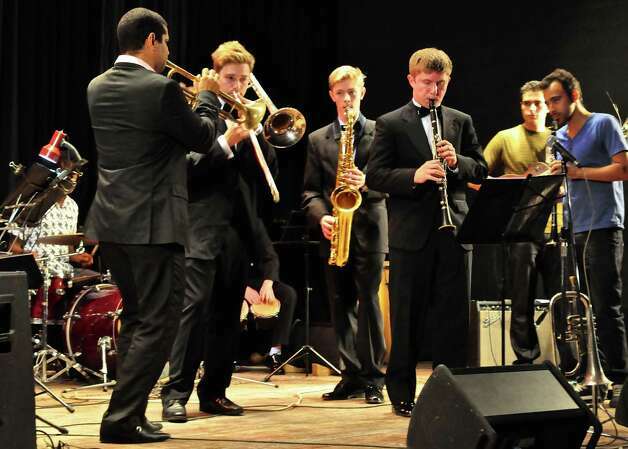 The next day, the school’s jazz ensemble played with one of the luminaries of contemporary Cuban jazz, trumpeter Yasek Manzano. The students also met the next generation of virtuosos, visiting a national performing arts high school and an elementary-middle school for music. They were struck by how many of the children they met wanted to be professional musicians, which reflected the high esteem in which Cubans hold music as a career. While the students traveled for music, they were not oblivious to the long-standing political tensions between the U.S. and Cuba. The communist-ruled country has faced an American economic embargo for more than 50 years, and few Americans ever venture to the island. But any unease about their reception by the locals was soon dispelled. Throughout their visit, the Greenwich musicians were also keenly aware of the widespread deprivation around them. Even the National Band players were short on essentials such as woodwind reeds, valve oil, trombone slide grease and drumsticks. Responding to the lack of daily staples, the band program donated clothes and toiletries to a special education school that they visited, as well as some used clarinets for the youth musicians whom they met. They also donated musical parts to the National Band. 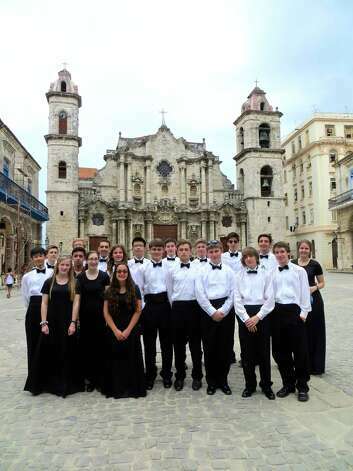 When not performing, the students explored the Cuban capital and its outskirts. They visited a number of important places, including Old Havana, Ernest Hemingway‘s home just outside the city, the community of Regla, the Morro castle and the Christ of Havana statue. More than 1,000 miles away from Havana, the students are now back in their familiar suburban environs at 10 Hillside Road. But they said that the trip will have a lasting impact.